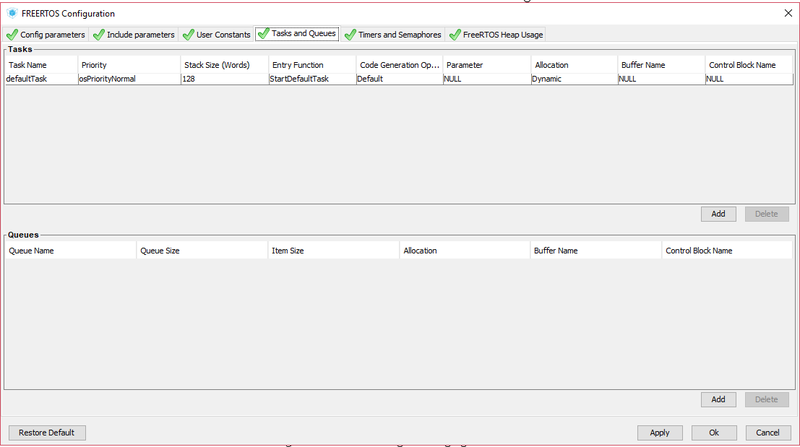 The config system in CubeMX allows you to configure and generate code for all components you have included, including FreeRTOS and libraries. This page show the config for FreeRTOS and it allows you to create a list of Tasks as well as message queues. The reason why I like this is because I don’t know FreeRTOS and within a few clicks I am using it and on my way into functionality. FreeRTOS is also included in ESP32 IDE supporting multiple cores and have been around for years.